Woooohooooo!!! It’s finally back. The next series of Doctor Who begins on April 3rd BBC 1, starring Matt Smith as the 11th Doctor and his new companian Amy Pond played by Karen Gillan. I have reserved judgement on what he’ll be like and whether he can fill Tennant’s shoes until i’ve seen a few episodes but I have to say the trailer looks great and i’m pretty sure he’s going to be a superb doctor. The first episode is called ‘The Eleventh Hour’ and the new series will feature the return of the Daleks (again!!! ), The Cybermen (again!!) and the Weeping Angels (my favourite new villians). Heres the new trailer if you havent seen it yet. 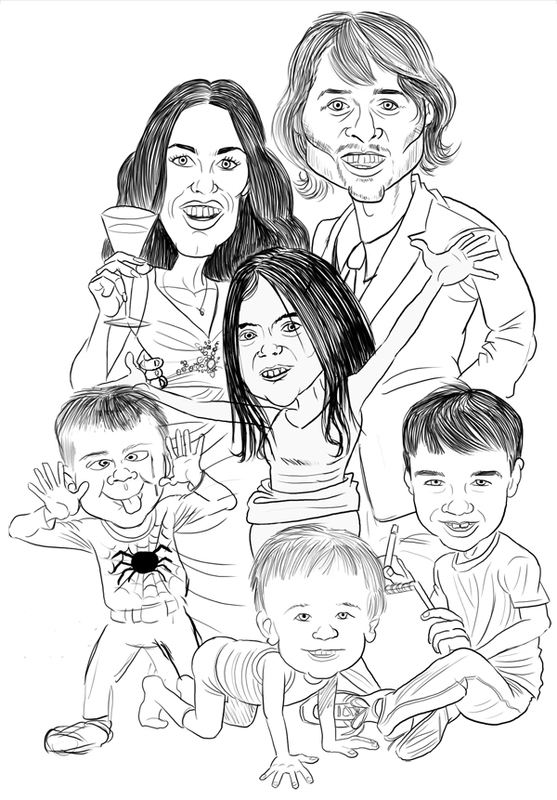 Heres a commission i’m working on at the moment for Darren’s 40th birthday. 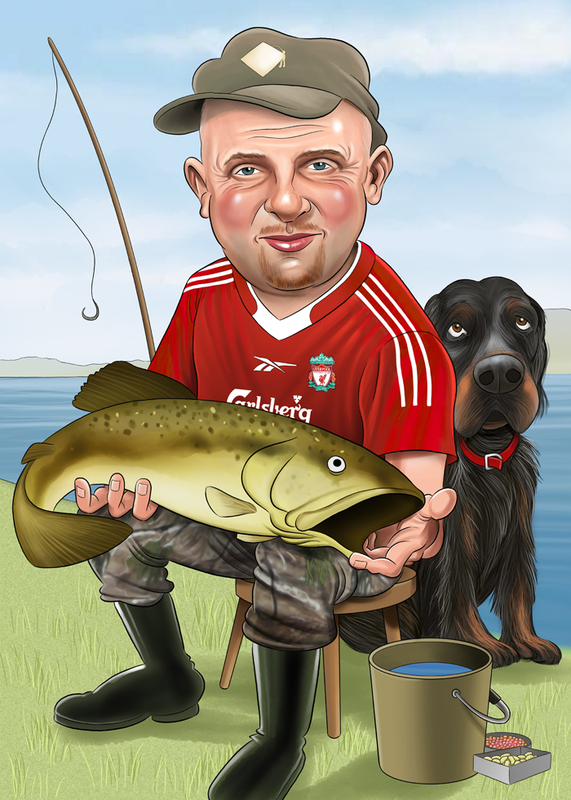 He’s a huge Liverpool fan so will be incorporating all the football strip logos and badges on the t-shirt, and as you can see his main hobby is course fishing hence the big fish he’s holding and fishing rod etc. The dog behind Darren is Koda, a golden setter. 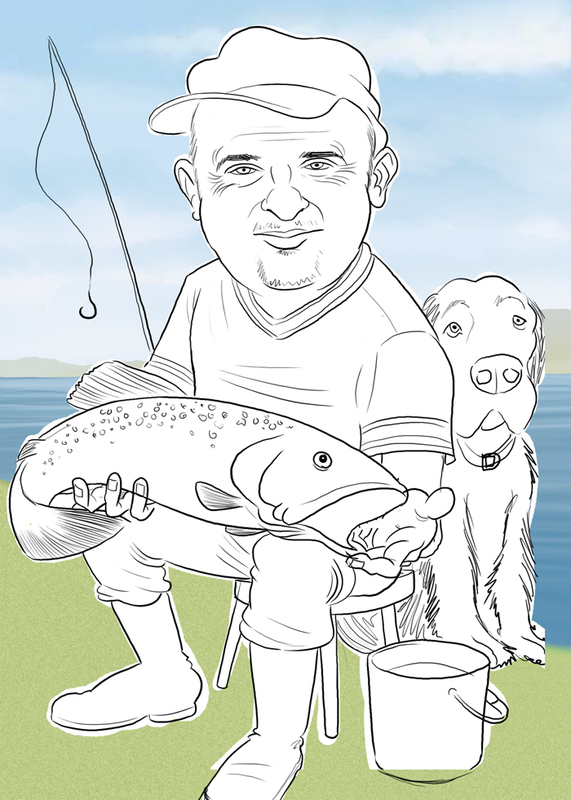 Will post the finished artwork in next couple of days. 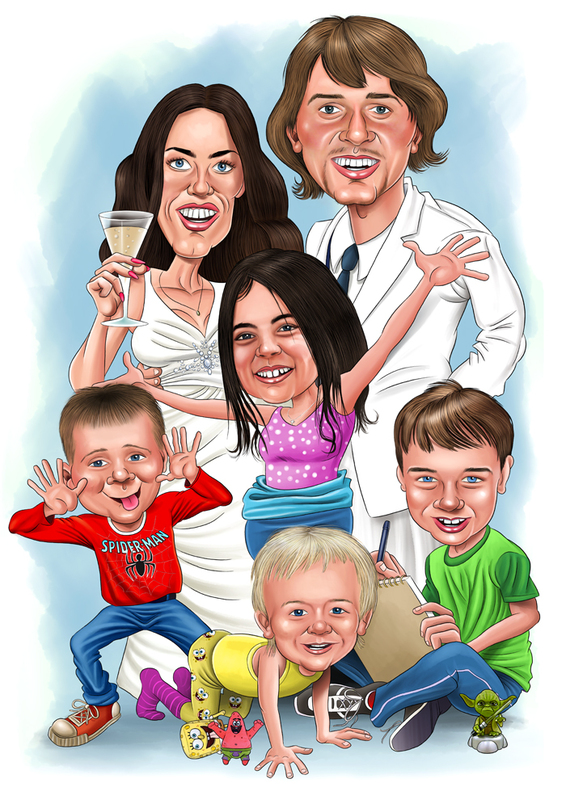 Here is the final artwork for a family portrait commission i did of Jeanie, Michael (mum & dad) and the 4 kids, Amberlyn, Steven, Silas and Zander. Click on the image for a larger view. Finally the weather seems to be getting warmer, been out today enjoying the sunshine, first time since about er…October i think! 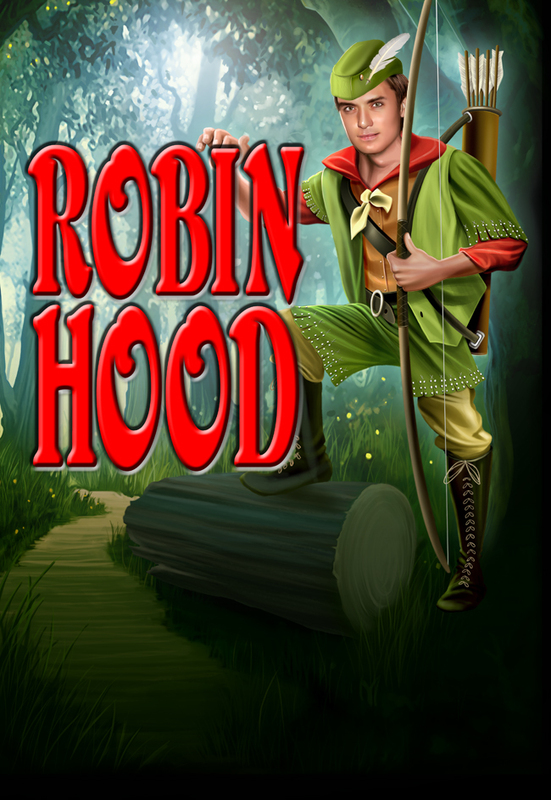 The Robin hood poster i did last week needs a reworking of Robins face, looking a bit old and like He-Man and needs to be more handsome and dashing so will post that when i get round to revising it. 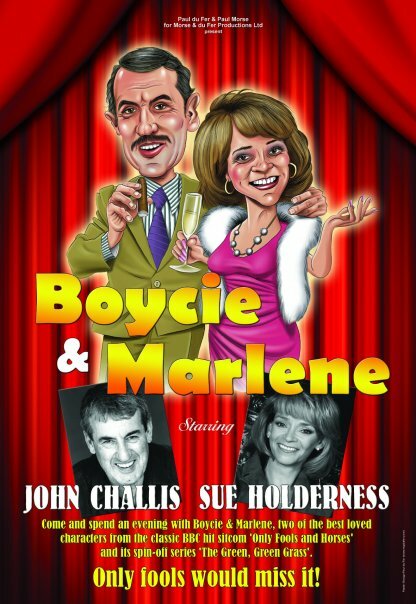 Also an update on the Boycie and Marlene poster i did a while back, its now in its 3rd leg of the 2010 tour and here is the updated poster for that leg. I think i like this version better than the 1st one. Here is the finished artwork for the Robin Hood poster, production cast and other info will be added later on and will post when it becomes available to me. ****update**** also changed Robin’s face to make him into a more handsome dude. Click on image for a larger view.